Breathtaking blossoms nearly the size of our solar system are strewn across the universe - hundreds of thousands of them. 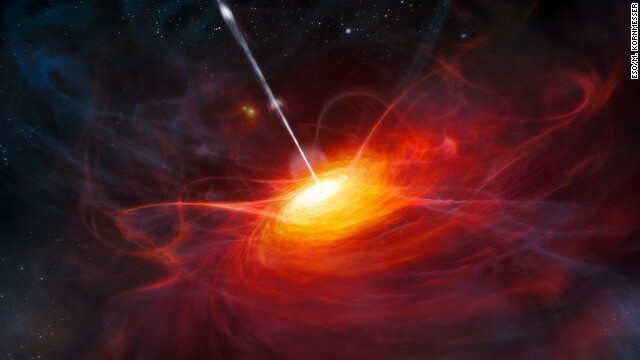 Quasars are, at the same time, among the most fiery monsters. "It reverberated," Schmidt recalls. "It drew a lot of attention." In the popular TV series Star Trek, the original crew of the Starship Enterprise was tasked with inspecting the newly discovered phenomenon close up. Electronics company Motorola branded a line of televisions 'Quasar.' A decade later Marvel Comics created a superhero with the same name. Luckily, no quasar is anywhere close to Earth, said Schmidt, who made the discovery at the California Institute of Technology in Pasadena. Quasars prove most non scientists are gay embiciles. Gay lesbian embiciles that play with dooooody. And we never actually went to the moon. What I love about quasars is they prove once and for all that man did not go to the moon. Quasars are breathtaking in their beauty. The hand of GOD at work.